Thrive!, founded by Gary "Chris" Christopherson, is call to action with vision and mission for those wanting to build a thriving future for all. It is a vast, sustained human endeavor for building and sustaining a thriving future for all forever. Thrive!®, Thrive! 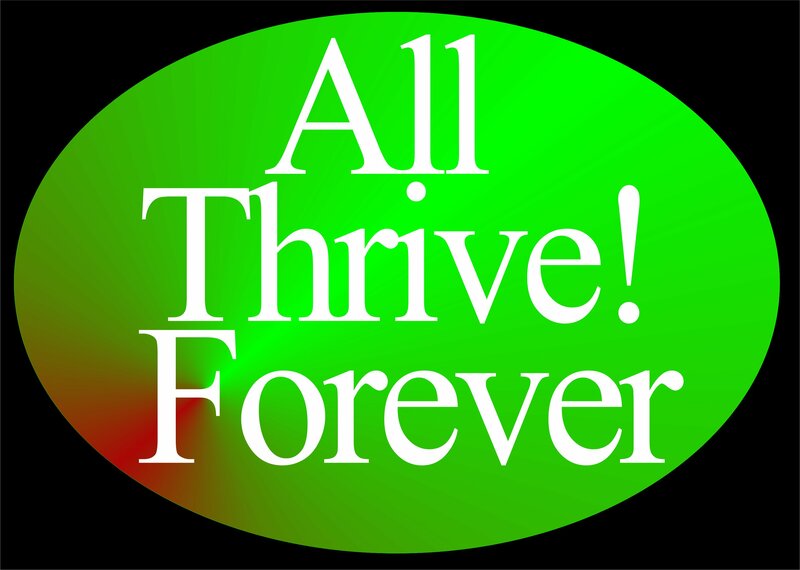 Endeavor®, T!® All Thrive Forever®, and What will you do?® are trademarks of Gary A. Christopherson. They are trademarked for public advocacy to promote awareness of the need for positive and integrative decision-making in the fields of public policy, public administration, healthcare and healthcare reform for the purpose of creating and sustaining positive change and a better, thriving future for communities on the local, state, regional and national levels. Supporting the mission and also founded by Gary Christopherson are "viaFuture", "HealthePeople®" and "Vulnerable". Their foundation is based on decades of advocacy in and out of government. Supporting this endeavor, Thrive! Next Generation Toolkit strategies and models have been developed from 30+ years of experience at the local and national levels. They have been used for the following: the White House, Congress, inner city health, DoD Military Health System, Veterans Health System, and Centers for Medicare and Medicare Services. Over his career, he worked at national/local levels on building better futures, large and positive change, person-centered, vulnerability, health and human services, policy, systems, models, performance, reform and management. For decades, he strongly advocated Thrive! vision. His strategic, policy, management, performance, and advocacy work spans his service both in/out of government. He is a sculptor of abstract art (GChris.com), having created over 200 sculptures. He also authored four science fiction books - The Thrive! Endeavor, black box, Extinction - The Failure To Thrive, and Thrive! - Escape From Extinction and three children's books - Thrive Or Not To Thrive? - Tale Of Two Tomorrows, T!rrific [terrific] - What will you do to thrive? and Angel, Thriving Creator of Artful Things. (Amazon.com).